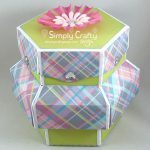 Set of three unusually shaped gift boxes. Make these three uncommon boxes with this Unique Gift Box Set SVG File. There was not other word for it, but unique, or oddly shaped. Change the paper colors and themed paper to make one of these for any occasion. 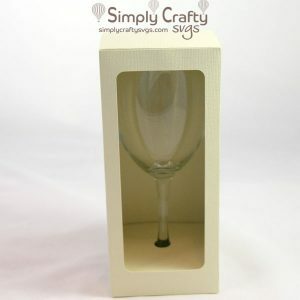 It can be used for any celebration or holiday. 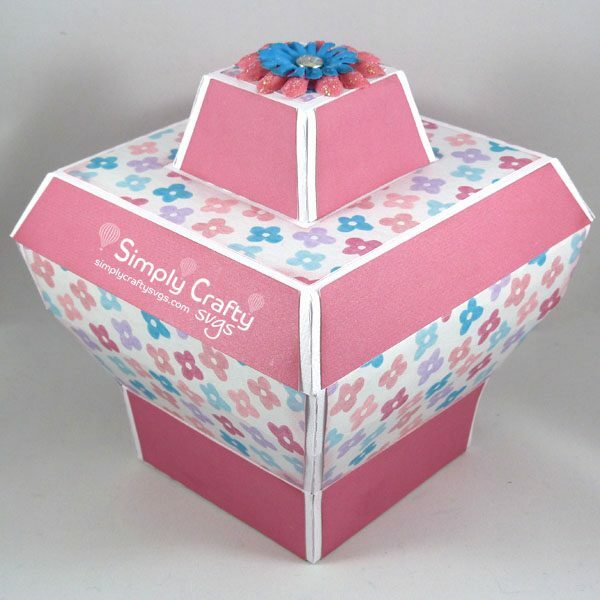 Why be normal and make a square box, although I like anything paper! Box 3 – 4.75” square and 5.25” to top of lid. 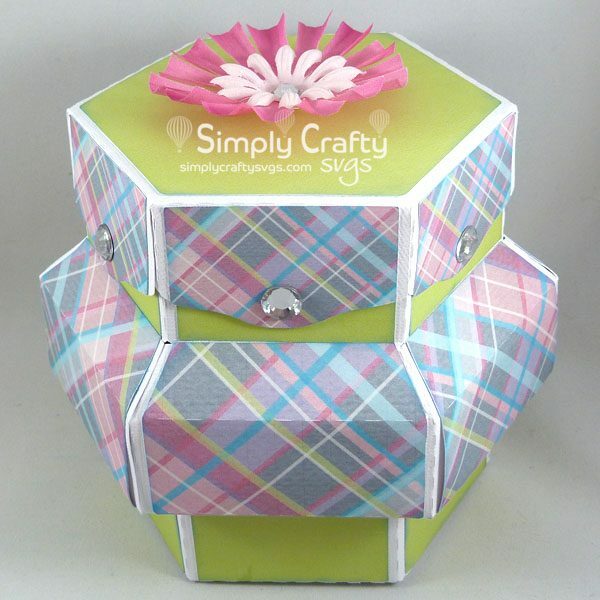 Change the paper for a multi-color box or for a specific occasion like Christmas. Use some embellishments on the panels or washi tape.